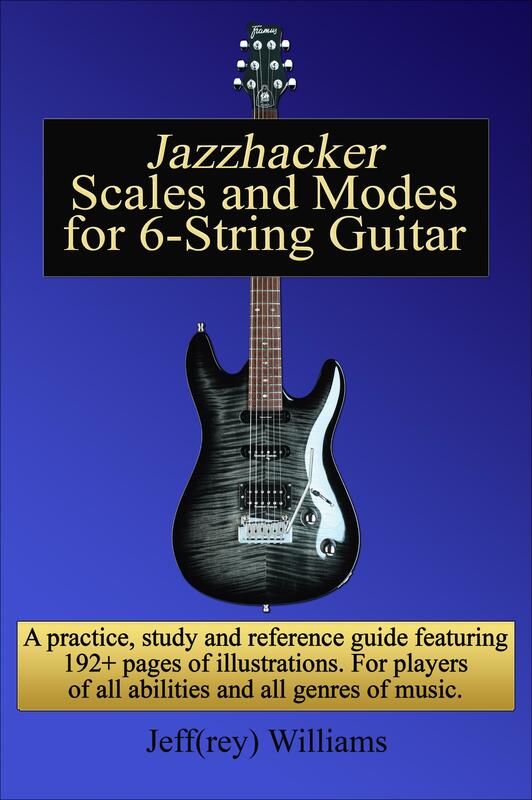 Jazzhacker Ebooks are 196-page guitar and bass practice, study, and reference guides featuring 192 full-page illustrations that decode 16 of the most useful and popular scales and modes, in all 12 keys of "Occidental" music, so are applicable to all genres of "Western" music: Classical, jazz, fusion, blues, rhythm and blues (R&B), soul, funk, reggae, Latin, rap, hip-hop, trip-hop, pop, rock, rock ‘n roll, punk, metal, rockabilly, gospel, country, country/western -- and beyond! 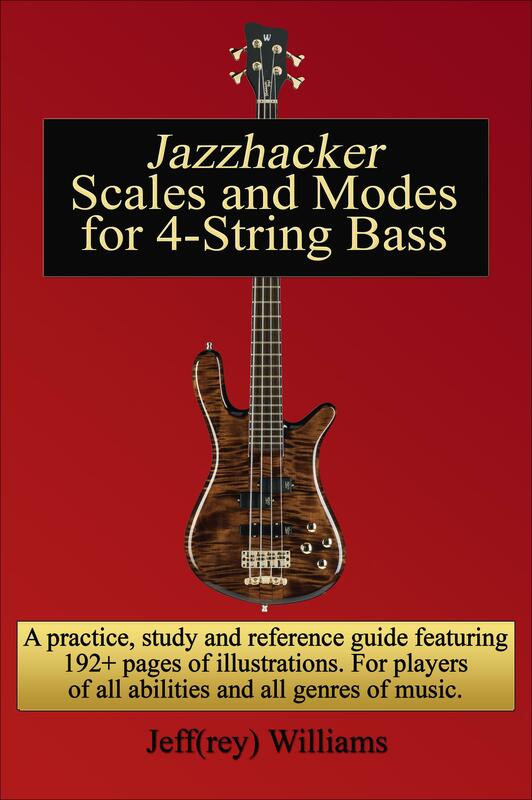 Scales and modes are crucial building blocks of music, and your favorite music can be found within these scales and modes. 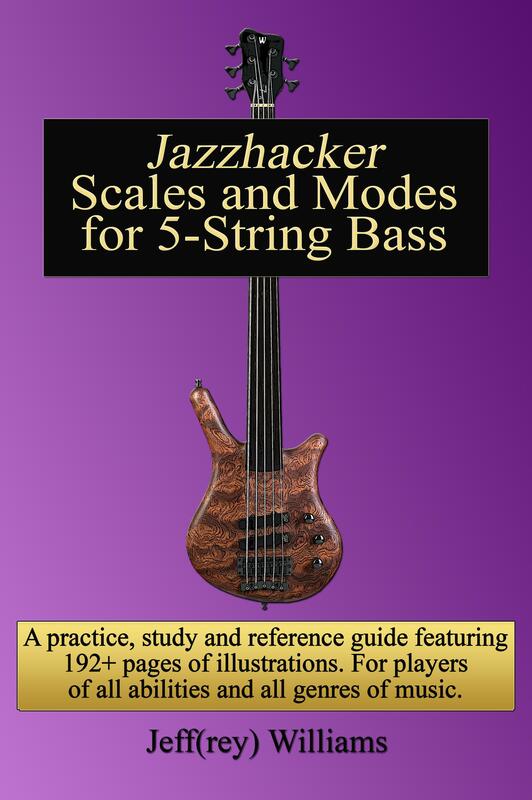 Select an ebook cover image to see a full-size view (then ‘back’ to return). 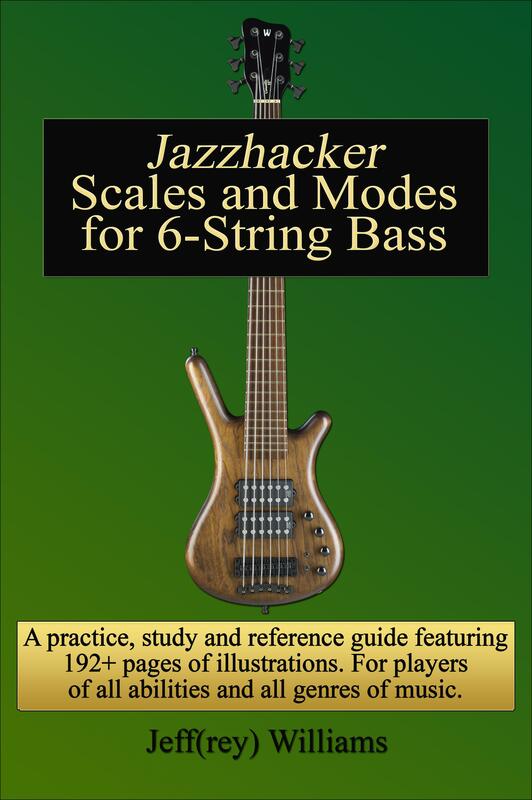 Coming to your favorite app stores: A serious, fun, fierce, customizable app for all who play guitar, bass, violin, viola, cello, banjo, mandolin, mandola, ukulele and other stringed instruments. Please stay tuned!